Plenty of free car parking. Tea and coffee included. 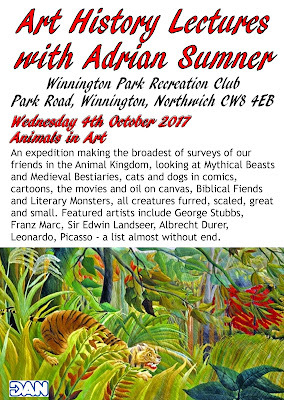 An expedition making the broadest of surveys of our friends in the Animal Kingdom, looking at Mythical Beasts and Medieval Bestiaries, cats and dogs in comics, cartoons, the movies and oil on canvas, Biblical Fiends and Literary Monsters, all creatures furred, scaled, great and small. 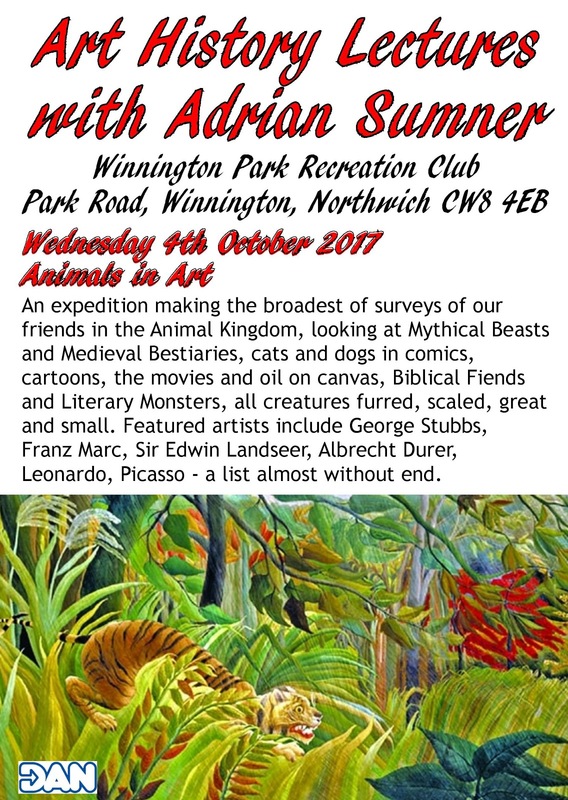 Featured artists include George Stubbs, Franz Marc, Sir Edwin Landseer, Albrecht Durer, Leonardo, Picasso - a list almost without end. Click here to book a ticket online. 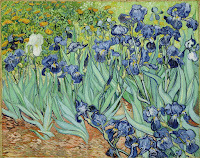 From time immemorial, Flowers, Plants and Gardens have been an enduring subject in the Visual Arts. From the Garden of Eden to the Garden of the Hesperides, the Medieval Garden of Love to the Mind-Gardens of Psychedelia, Tulip Mania to Redoute's Roses artists have pushed their skills to the absolute limits in describing the extraordinary richness and diversity of Nature in Bloom. 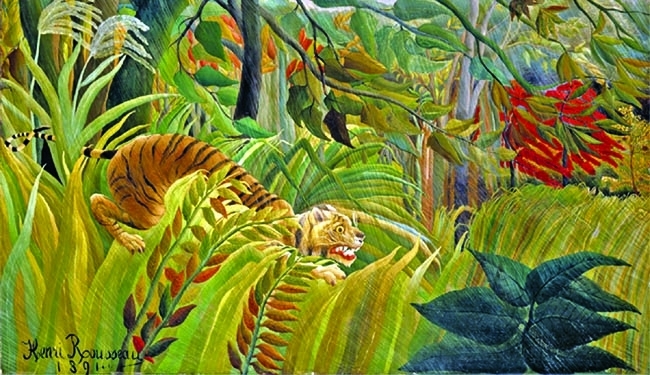 And, of course, Contemporary Artists, building on the great traditions of the Renaissance and many other cultures, make actual Gardens – balancing Colour and Sound, Scent and Touch, Mystery and Imagination. 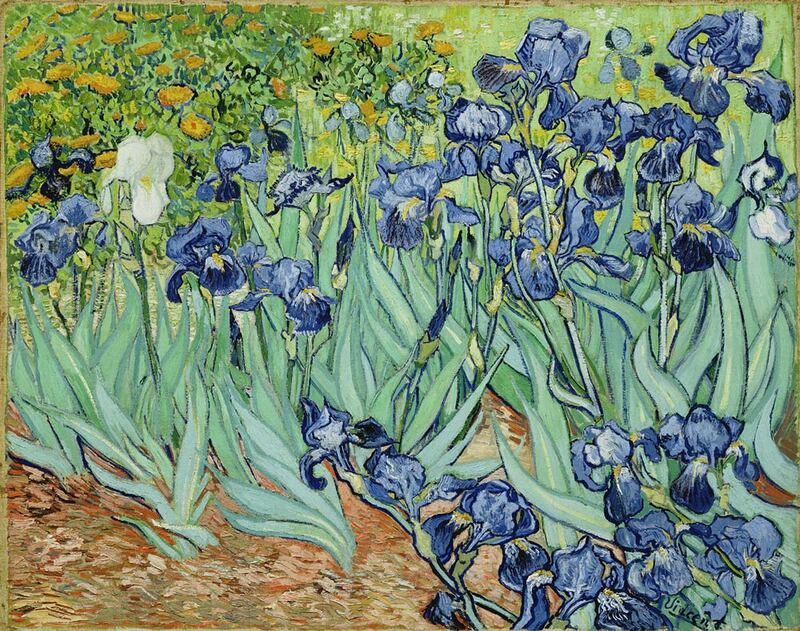 This luxuriantly–illustrated slide lecture offers a tour of Art featuring blooms of all varieties, taking in the language and symbolism of flowers, suitable for all ages and tastes. Wake up and smell the roses! 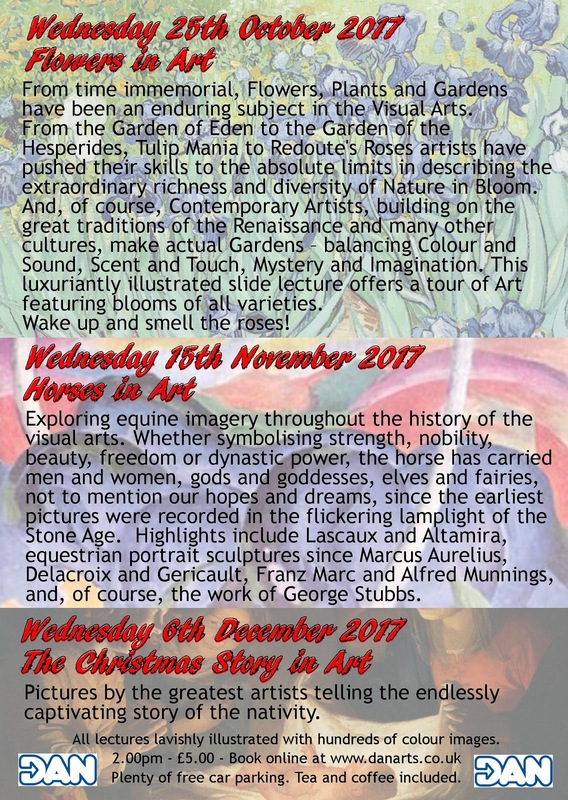 Exploring equine imagery throughout the history of the visual arts. Whether symbolising strength, nobility, beauty, freedom or dynastic power, the horse has carried men and women, gods and goddesses, elves and fairies, not to mention our hopes and dreams, since the earliest pictures were recorded in the flickering lamplight of the Stone Age. 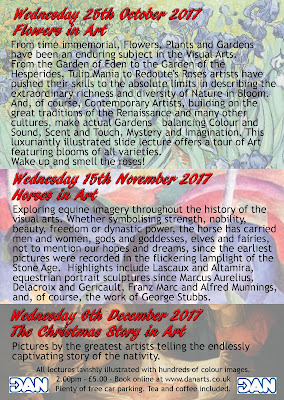 Highlights include Lascaux and Altamira, equestrian portrait sculptures since Marcus Aurelius, Delacroix and Gericault, Franz Marc and Alfred Munnings, and, of course, the work of George Stubbs. 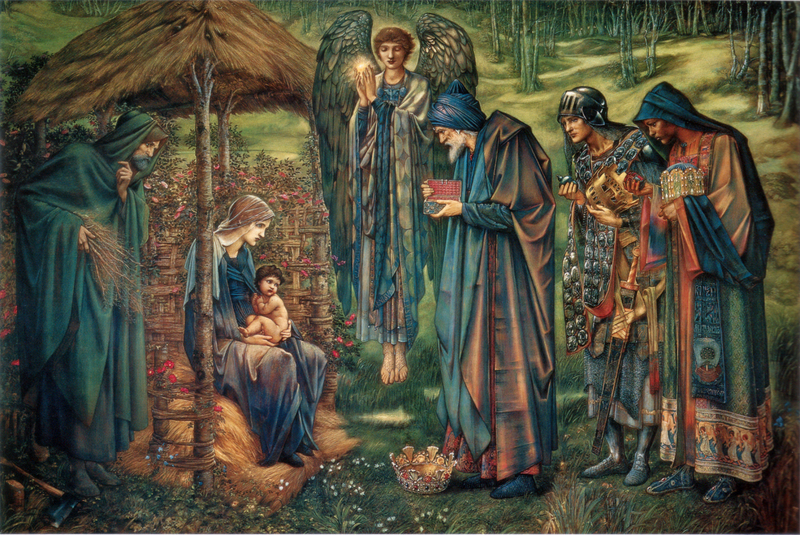 Pictures by the greatest artists telling the endlessly-captivating story of the nativity.